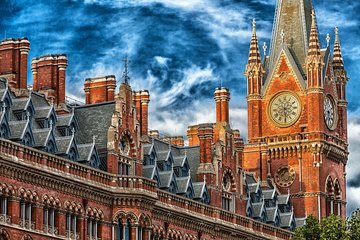 Immerse yourself in Harry Potter’s magical world, and discover the London locations that inspired J.K. Rowling, on this private tour. Meet your guide at your local hotel, and travel via tube and bus (own expense) to locations across the city. You’ll visit King’s Cross, will discover the real-life inspiration for Diagon Alley, will explore other London landmarks that doubled as filming locations, and will learn insider stories about the making of the books and the movies. The tours are appropriate for anyone under 21, but not for adults. They are also far overpriced. The Warner Bros. experience is better for both children and adults but overpriced, and it is not worth waiting 10 weeks to go to the Warner Bros. lot. The tour is crowded, pushy, and you learn very little compared to what Harry Potter advocated already know. Our tour guide, Linus, was AWESOME! He knew so much about all of the Harry Potter sights and we got to see a lot of London on our walking tour. THANK YOU to Linus!